AUDI is a popular well-respected worldwide brand and have been extremely popular in the U.S. since 1992. Audi A4 Cabriolet and Audi S4 Cabriolet gained wide popularity. The Audi TT Roadster also remains one of the most popular models. Each of our AUDI convertible tops is manufactured to original pattern specifications and we offer the original fabric selection. Our AUDI convertible tops will instantly renew your vehicle to show room condition. 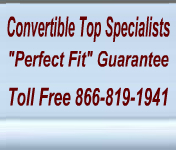 We offer a complete line of convertible tops.